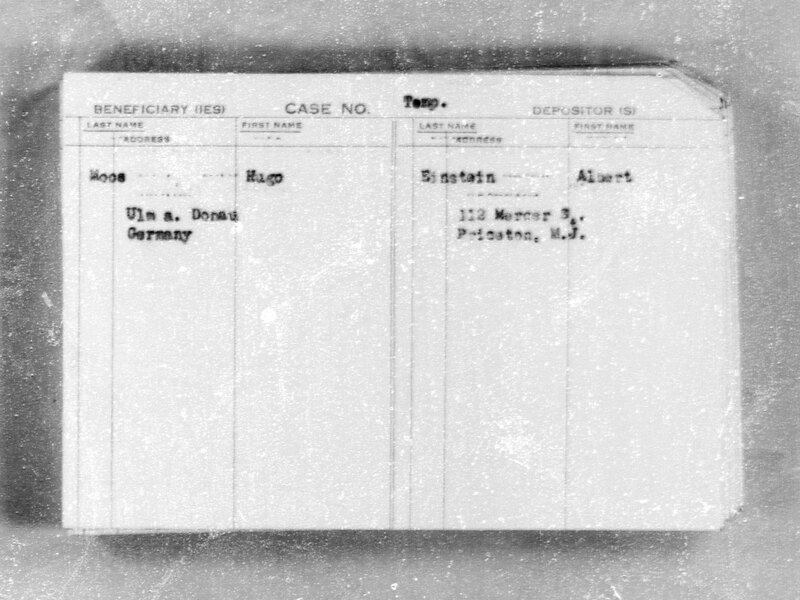 JDC Transmigration Bureau card shows aid extended by Einstein during World War II. The card (pictured below) illustrates that Albert Einstein deposited funds with JDC towards the travel costs of Hugo Moos, a friend or a relative living in his hometown of Ulm, Germany. Included are Einstein’s name and address in Princeton, NJ. 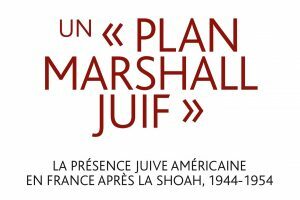 JDC established its Transmigration Bureau in 1940 in New York to help refugees emigrate from Germany, Austria, Czechoslovakia, Holland, Belgium, and Luxembourg, primarily to the U.S. Its primary role was to accept deposits from friends or family overseas towards the travel costs of Jews emigrating from Europe. 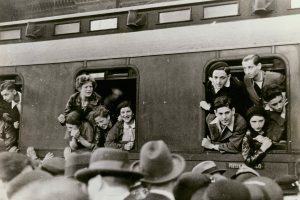 The JDC Archives has indexed deposit cards for 37,732 individuals who emigrated from 1940-1956, with the bulk from 1940-1942. 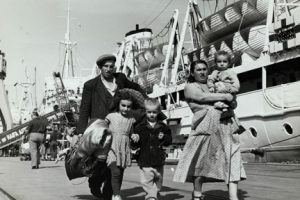 Research of ship manifests has turned up a Manifest of Alien Passengers for the S.S. Scythia which sailed from Liverpool on February 22, 1940 with a child passenger named Rudolf Hugo Moos on board. Rudolf Hugo Moos was born in Berlin and his last residence at the time was in Belgium. Could this be the same Hugo Moos who was helped by Albert Einstein?